The One With Transactional Analysis | On Learning. I have decided not to write a post explaining what I understood about Transactional Analysis from what Vera Birkenbihl says about what Dr. Eric Berne says. I found this Medium post that explains it pretty well, although I would say (and Birkenbihl does, too) that this is not only valuable for conversations (transactions) with people we are very close to, but also very useful for work communication. Complimentary transactions are either Adult <-> Adult or Parent <-> Child, those are good transactions because they make the people who are communicating feel good. 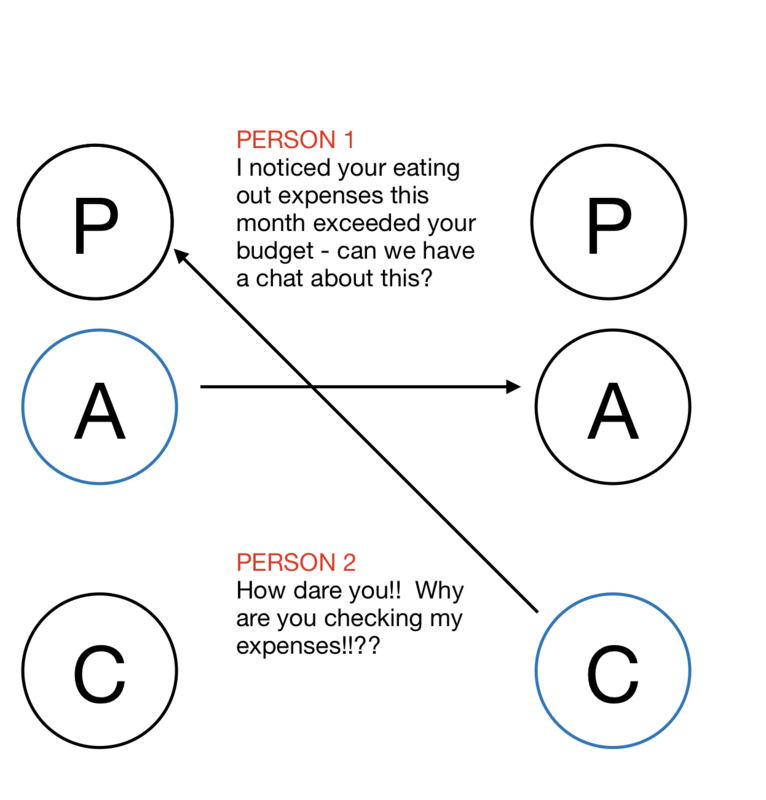 Crossed transactions happen when the P-A-C lines are crossed (like so1), for example when Person X wants to speak from their A to Person Y’s A, but Y responds as a C (to a Person X’s P). This leads to a failed conversation. Most crossed transactions happen when X tries to address Y’s A (or P), but hits the C.
If Y responds from their adaptive2 C, it is best to respond as a nurturing P and try to shift the conversation back to an A (but only after responding as P! ).